Pam Runquist serves as HSVMA’s Executive Director, overseeing the organization’s legislative and public policy work, membership outreach, continuing education programs, veterinary student programs and all operational activities. In this role, she works closely with HSVMA’s team of veterinary advisers to activate veterinary professionals on animal protection initiatives, expand membership involvement in community and field service work, engage veterinary students in our animal welfare programs, and provide animal welfare-focused educational opportunities for the profession. Pam has been with HSVMA since the organization was launched in 2008, previously serving for six years as Director of Veterinary Advocacy and four years as the Senior Director of Veterinary Outreach. 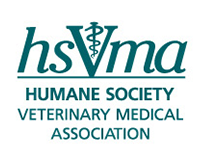 Prior to her involvement with HSVMA, Pam worked for the Association of Veterinarians for Animal Rights and RedRover (formerly United Animal Nations), a national animal protection group based in Sacramento, Calif. She also had a career as a reporter, including stints at newspapers in Germany; Guam; Louisville, Ky., and Newport News, Va.
Pam has a master's degree in foreign service from Georgetown University and an undergraduate degree in European history and classics from Brown University. Her hobbies include running and feral cat trapping. 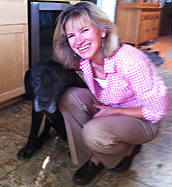 At home, she hangs out with her husband, BJ, their senior black labs, Sasha and Scoobie, and rescue cats Benny, Minnie, Sunny and Ghia.